Allendeite: Mineral information, data and localities. Well-known as a synthetic compound. Crystal structure is derived from the fluorite structure type. Collongues, Robert; Qucyroux, Francine; Jorba, Monique Perez y; Gilles, Jean Claude (1965): Structure and properties of the compounds of rare earth oxides with oxides of the Group IV elements. Bulletin de la Societe Chimique de France 1965, 1141-1149. Thornber, M. R.; Bevan, D. J. M.; Graham, J. (1968): Mixed oxides of the type MO2(fluorite)-M2O3. III. Crystal structures of the intermediate phases Zr5Sc2O13 and Zr3Sc4O12. Acta Crystallographica, B24, 1183-1190. Rossell, H. J. (1976): Crystal structures of some fluorite-related M7O12 compounds. Journal of Solid State Chemistry 19, 103-111. Magunov, R. L.; Shklyar, G. L.; Katridi, V. F. (1989): The phase diagrams of the zirconia (hafnia)-scandium sesquioxide systems. Izvestiya Akademii Nauk SSSR, Neorganicheskie Materialy 25, 1224-1226. Red'ko, V. P.; Lopato, L. M. (1991): Crystal structure of rare earth zirconates M4Zr3O12 and hafnates M4Hf3O12 (M = rare earth). Neorganicheskie Materialy 27, 1905-1910. Bevan, D. J. M.; Mohyla, J.; Wallwork, Kia S.; Rossell, H. J.; Schweda, Eberhard (2002): Structural principles for anion-deficient, fluorite-related superstructures in the zirconia-scandia system. Zeitschrift für Anorganische und Allgemeine Chemie 628, 1180-1186. Stanek, C. R.; Jiang, C.; Uberuaga, B. P.; Sickafus, K. E.; Cleave, A. R.; Grimes, R. W. (2009): Predicted structure and stability of A4B3O12 delta-phase compositions. Physical Review B: Condensed Matter and Materials Physics 80, 174101/1-174101/11. Ma, C., Beckett, J.R., Rossman, G.R. 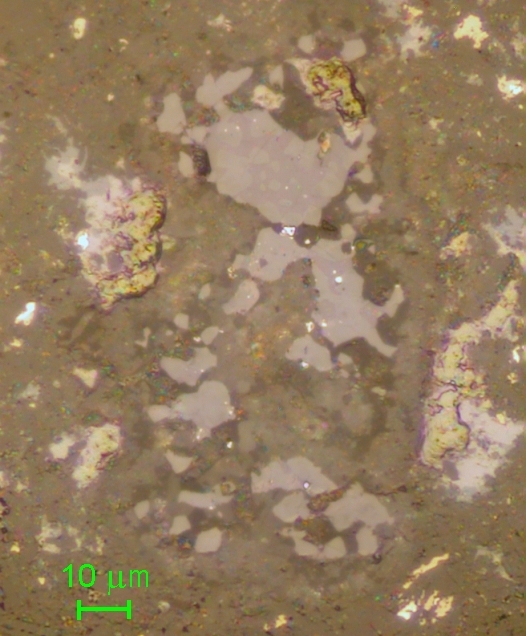 (2014): Allendeite (Sc4Zr3O12) and hexamolybdenum (Mo,Ru,Fe), two new minerals from an ultrarefractory inclusion from the Allende meteorite. American Mineralogist, 99, 654-666. Wang, Y. & Hsu, W. (2009). Petrology and Mineralogy of the Ningqiang carbonaceous chondrite. Meteoritics & Planetary Science Vol. 44, #5, 763-780. (May 2009).